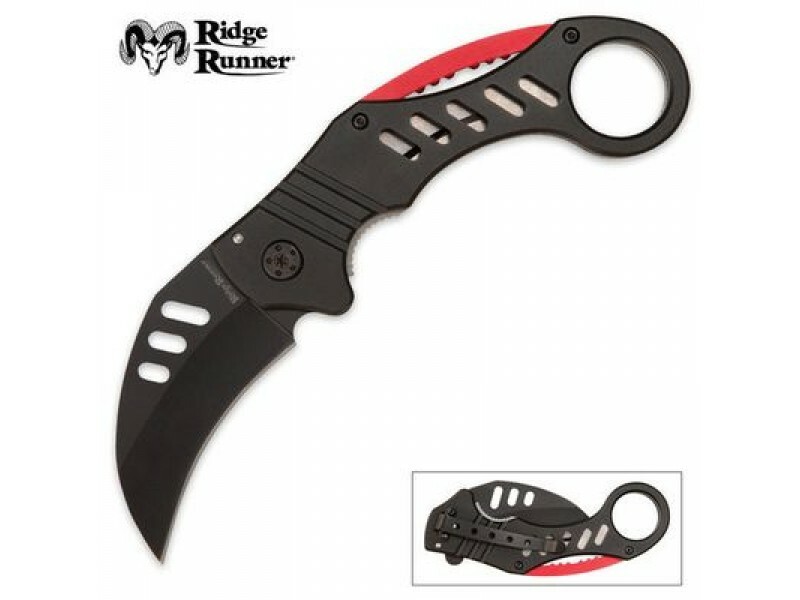 Note: This item cannot ship to NY When you need an easily concealed but quick-access defense weapon, this Ridge Runner folding karambit is your answer. 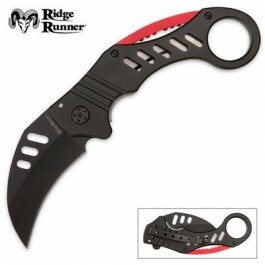 This karambit features a black-coated stainless steel blade with a durable aluminum handle, complete with a pocket clip for added convenience. The large finger hole will provide a great grip in any situation.